The award of $11.5 million emphasizes the power of collaboration among three leading institutions focused on global health, genomics, and systems biology. 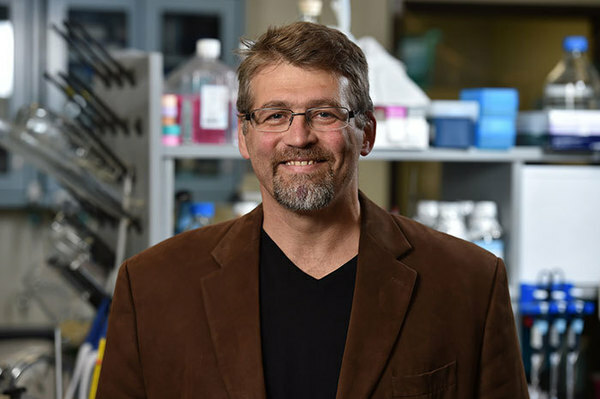 University of Notre Dame biologist Michael Ferdig, Ph.D., is leading a new $11.5 million program project (P01) grant from the National Institutes of Health (NIH). Ferdig and his team at Notre Dame are partnering with researchers at the Center for Infectious Disease Research (CID Research) in Seattle and Texas Biomedical Research Institute (TBRI) to better understand the genes in the malaria parasite that are responsible for drug resistance and virulence in order to reduce and ultimately eliminate the often deadly disease. The World Health Organization (WHO) recognizes malaria as a major global health threat that disproportionately affects middle- and low-income countries. According to WHO, 212 million people suffered with the disease in 2015 and 438,000 died. Malaria is preventable and curable, and the widespread use of the drug artemisinin (ART) has been a key factor in significant reductions in infections and death. However, a recent rise in resistance to ART in Southeast Asia poses an imminent risk to ongoing global efforts to combat malaria. The spread of resistant strains to sub-Saharan Africa, where malaria remains endemic, with the highest mortality rates worldwide, would have devastating impact. Such catastrophic drug failure would replicate a similar disaster seen in the late 1950s and early 1960s with the drug chloroquine (CQ). 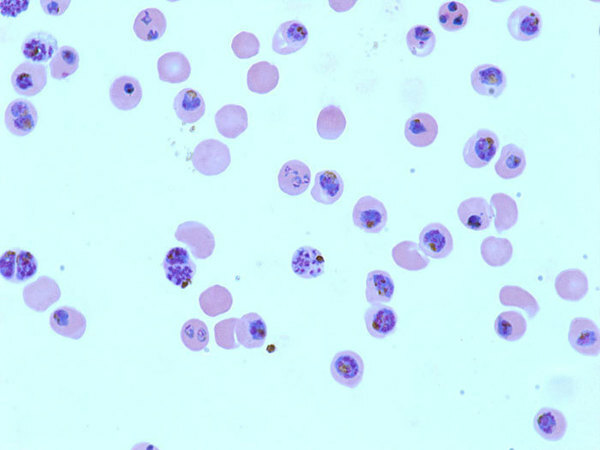 To combat this, Ferdig, a professor in the Department of Biological Sciences and member of the Eck Institute for Global Health, and his collaborators have outlined an innovative approach to study the single-celled malaria parasite Plasmodium falciparum. Their project titled “Harnessing The Power of Experimental Genetic Crosses and Systems Genetics to Probe Drug Resistance in Malaria” leverages their novel method for conducting experimental genetic crosses of the malaria parasite. A genetic cross is the result of breeding two different individuals, for instance, one parasite known for drug resistance and one known for drug sensitivity. The resulting offspring, individual siblings, inherit unique combinations of genes from each parent parasite, allowing researchers to identify the genes causing the drug resistance. This information can lead them to devise better methods to combat the parasite. Until now, the ability to harness the power of P. falciparum genetics has been eclipsed by challenges—costs, technical difficulty, and the ethical dilemma of reliance on chimpanzees—of generating experimental crosses. This new research collaboration utilizes a “humanized” mouse strain—work optimized for malaria studies by Ashley Vaughan in the research group led by Stefan Kappe at CID Research to exploit a genetically engineered mouse with a liver consisting of more than 90 percent human cells—for rapid and routine generation of large numbers of parasite progeny. In 2015, Ferdig and his CID Research colleagues, along with Tim Anderson and Ian Cheeseman at TBRI, published a paper in Nature Methods that established the proof of concept upon which this new grant award is based. Ferdig, with expertise in integrated genetic analysis of malaria parasite crosses, has benefitted from another long-standing collaboration with researchers at TBRI, whose expertise lies in whole genome sequencing. The leadership of TBRI in evolutionary genomics of the malaria parasite provides connections to clinical cases of emerging drug resistance through collaborators in Southeast Asia. The ultimate goal of this research program is to share methods, resources, and data with the broader malaria research community to enhance understanding of the genetic mechanisms of drug resistance and virulence. This effort will be enhanced by a Data Analysis Core centered at Notre Dame and led by Scott Emrich in Computer Science and Engineering. Ferdig says the successful execution of this grant will empower the field of malaria research and have a significant impact on the ability to combat malaria further positioning Notre Dame to be a leader in this area. This award is being issued by the NIH’s National Institute of Allergy and Infectious Diseases, under grant number: 1P01AI127338-01A1.